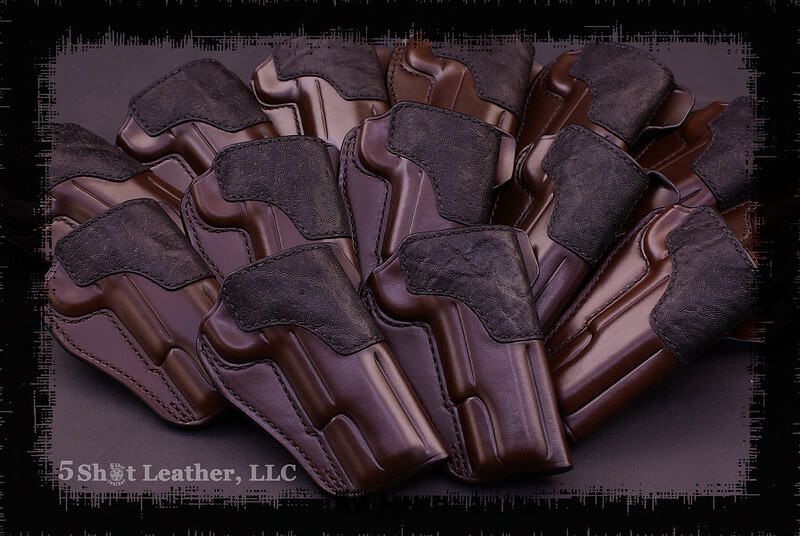 Here is a batch of holsters I have been working on for a large Vendor Order. These are a new model I call the OSSS (Old School Speed Scabbard), which is based on Lou's design. 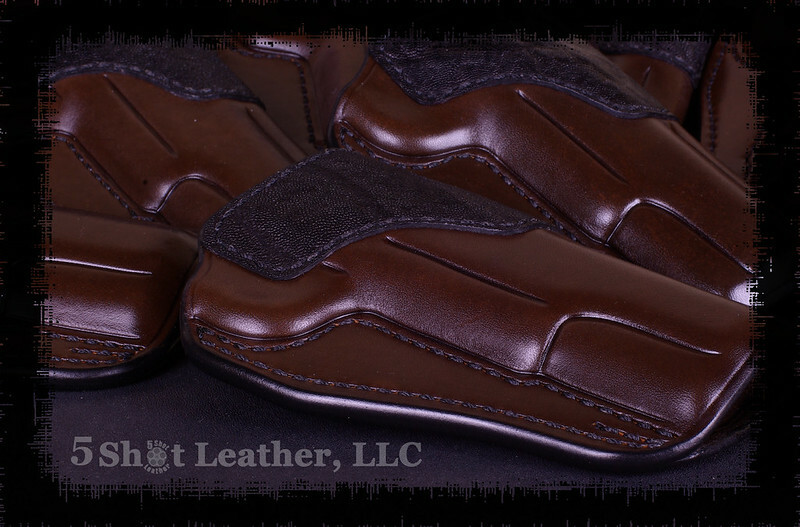 These ones feature Elephant trim, which contrasts nicely with the Antique Brown Dye. The edges...I think I have finally perfected my technique, and these are easily the best that have ever come out of the shop. Care to share who the vendor is, so we (I) can rush and buy one ? As soon as they are ready to announce them on their site I will let you know! John they are something else all together, nice work. Can you share with us what type of dye that is it's really nice. The dye is a custom blend, not something you can buy. I mix it from Angelus Brandy, thinned with alcohol. I mix in a little black and adjust the proportions of everything until the color is right. No set formula, as it seems to change a bit every time I mix it. I'll post a pic of the other side when I get the second half of the order going (Commander Rigs). It is very similar to Lou's design. Those are some really great looking edges, John! Very pretty color, too. 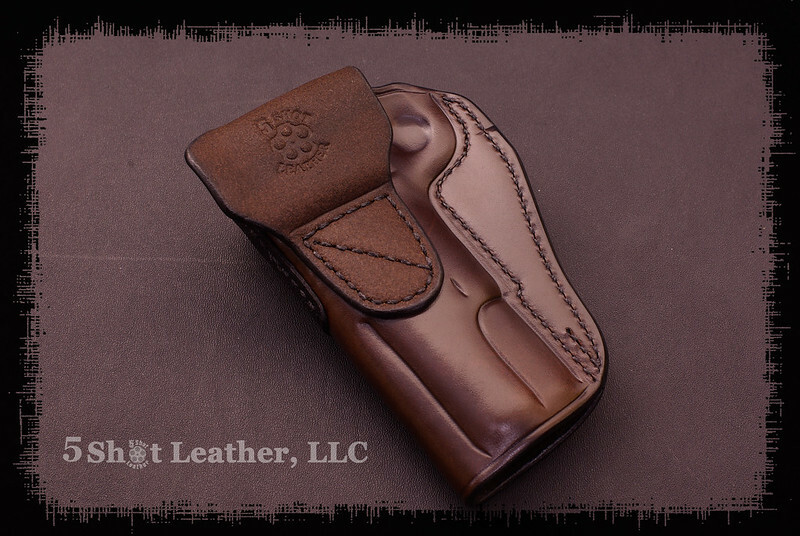 I think a lot of folks, me included, are starting to lean more toward traditional non-complex holster patterns as of late. Bought mine this afternoon as soon as I got an email from Wilson advising they were available, before I saw the latest posts. Good thing you pulled the trigger yesterday...all 50 sold in 12 hours. Well allow me to share my thoughts here. 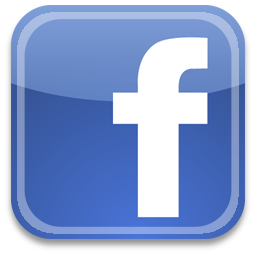 I think it is best done by just repeating what I blurted out involuntarily as I read the last few posts. 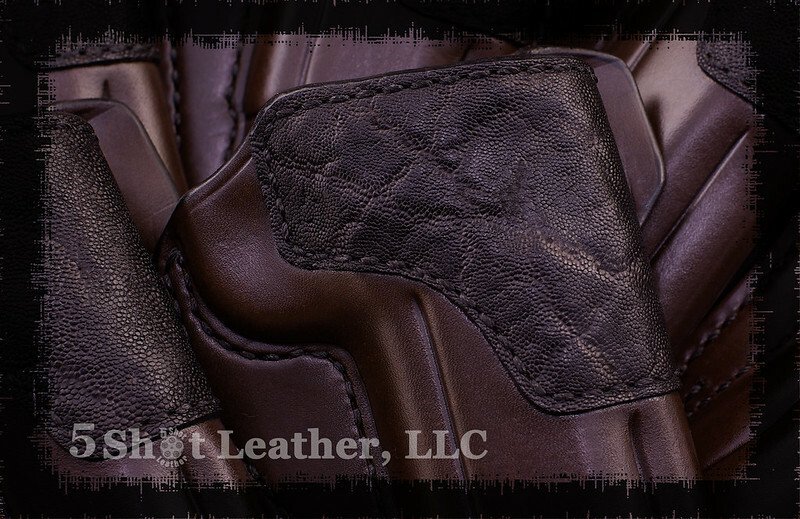 When I saw that WC was the customer buying a quantity of your holsters to put on their site, I said, "Nice!" When I read all 50 sold out immediately I said, "Holy crap!!" Thanks Ned...this was much needed in order to start to right the ship. 2014 should go a bit smoother, and hopefully no health issues, unlike 2013. Just received mine this afternoon. Beautiful work. Just what one of my several Novak Colts need.